Labour is a time to feel both calm and confident in your body which means it really helps to have the ability to release distractions from your mind. This is partly what makes essential oils such a powerful addition to any birth preparation (like HypnoBirthing) as our sense of smell is the fastest path to the brain. That means a labouring woman can smell something that unsettles her (like disinfectant) and have an immediate stress response, or smell something that relaxes and soothes her (like flowers) and feel good. More than just this though, plant medicine and essential oils have been used in labour for eons. 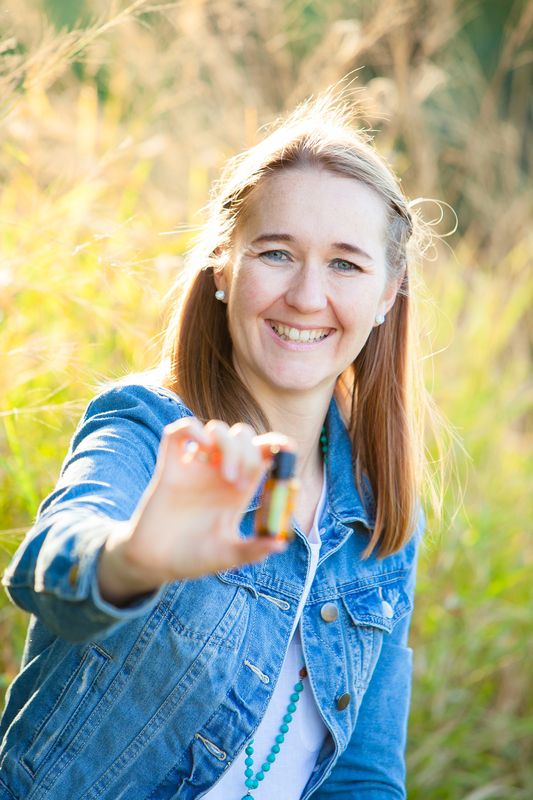 The fact they work is undeniable but awesomely science is now showing time and time again that many essential oils (like Bergamot, Lavender and Frankincense) can have soothing emotional properties on both mind and body. So why not enhance your labour preparation with some subtle soothing aromas that are beneficial? Not all essential oils are the same when it comes to quality which is why I choose to use dōTERRA essential oils. You can read more about using them during your pregnancy here. We use essential oils in three ways aromatically (diffused in the room or by smelling it straight from the bottle), topically (for physical relief or mood support) and internally (as a medicine or food flavouring). And while there are many oils you can use for many things let’s start really simple!! You can also give mum a whiff of Wild Orange straight from the bottle if she is needing some positive energy during her labour, or Balance to calm and re-focus her. Topically its lovely to apply Balance to the back of the neck, wrists and base of feet during labour- this calm assist calming and grounding emotionally. Clary Sage really is known for being a labour oil as it is wonderful for hormonal support. It encourages more effective and consistent surges /contractions when applied topically. Apply Clary Sage diluted to the neck and wrists when labour first begins to help establish regular surges, or apply a few drops on your inner ankles to keep thing moving along if they have slowed a little. 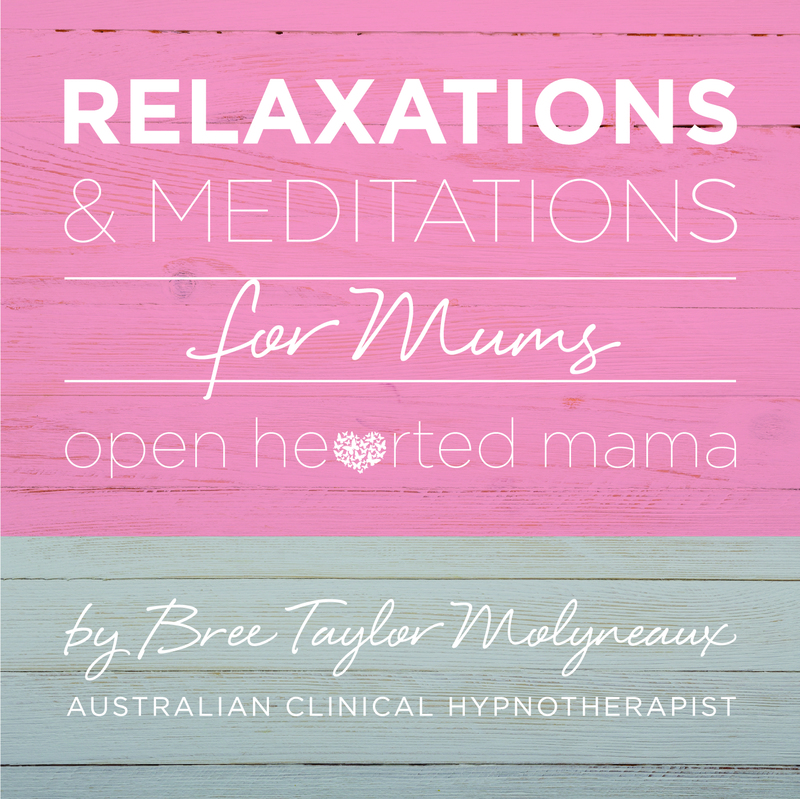 During labour we can get uncomfortable at times, and while I love HypnoBirthing techniques I don’t thinks it hurts to have some other natural options up your sleeve. Oils like Lavender, Frankincense and Peppermint can provide great physical relief. #TIP – Make up a pre-made roller of Lavender, Peppermint and Frankincense to apply during labour for any type of muscle tension or pain! Apply topically to the lower back or tummy for additional comfort, or mix it with Peppermint if nausea hits. Diffuse Frankincense, Lavender and Wild Orange for a beautiful aroma post birth that is both soothing, inviting and heart opening. Additionally Frankincense is brilliant for skin support and reducing inflammation, so mix it with Helichrysum and make a perineum spray for gentle but helpful post birth soothing, or try doTERRAs blend including both of these oils known as Salubelle. Both of these oils provide wonderful relief if you have some back labour when applied topically, although Ice Blue is a specialist muscle relief blend. Peppermint has the added benefit that if some nausea arose during labour, you can simply a smell straight from the bottle. Peppermint is an energising oil so can be used to give a birthing mum extra energy if the labour is long.. or add it to a diffuser along with Wild Orange for a more upbeat room aroma. Topical use of Lavender, Frank and Rom Cham can help with afterbirth pains. You simply dilute them and apply topically to the lower abdomen / uterus area while breastfeeding – this can support the contracting of the uterus to expel the placenta. Make a Soothing Perineal spray using Frankincense and Helichrysum or Salubelle. These can be put on those sensitive bits that can get a bit swollen and tender after birth. Re-apply every few hours for the first few days post natally. This combination can also be used topically in the week or so leading up to labour to encourage a soft and flexible perineum. Diffuse Frankincense, Wild Orange and Lavender together anytime you want to create a lovely welcoming space in the birthing room or home. Lovely to use while breastfeeding to keep everyone one relaxed. You can also try diffusing Balance and Lavender together as a grounding combination. If you were exhausted and needed an energy lift after birthing, Peppermint and Wild Orange is your go to energising blend. 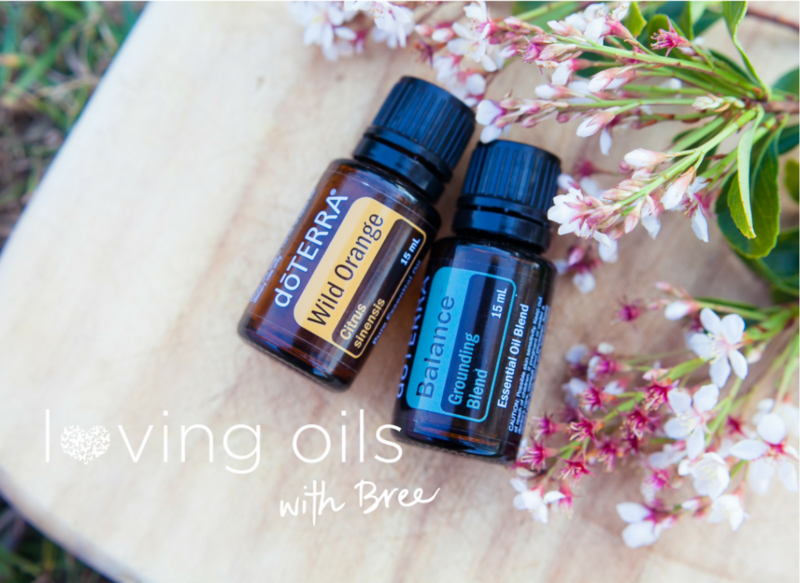 This sweet smelling oil brings focus and courage. Roman soldiers used this before going into battle to increase their courage! It is both calming and focusing for the mind so can be used in labour or anytime you need courage as a new mum. It has an added birth benefit of being safe for baby. I am leaving additional uses for baby and yourself post birth for a separate blog post, stay tuned for that! 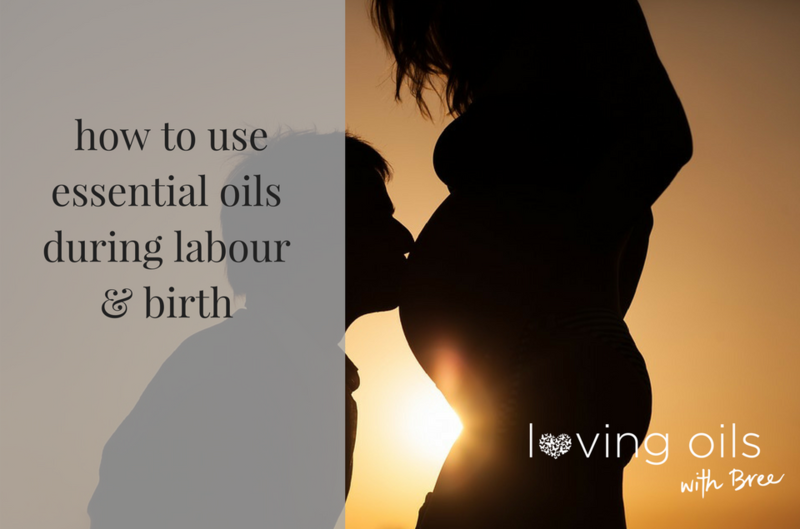 Like the idea of using some oils for your Birth? Or if you are keen to get some of these oils for your labour and birthing I encourage you look at the below Starter Kits. See image for what this kit includes as a combination of emotional and physical support for labour. I would strong recommend adding on Helichrysum + Frankincense (or Salubelle), and Clary Sage to AromaTouch kit – this would mean you are well setup for pre and OR post birth! 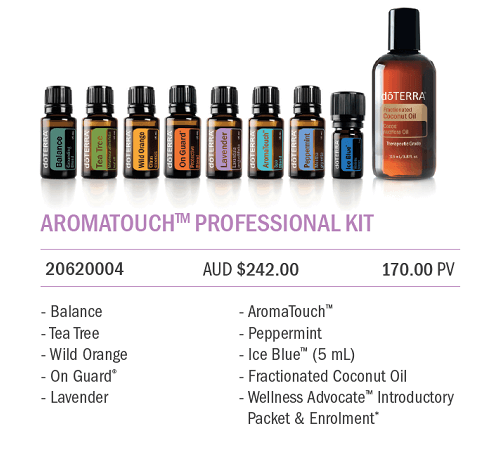 You can also just purchase a few oils individually although this can usually cost a little more. As per the suggestions above, I would consider top priorities as – Salubelle, Balance, Wild Orange, Lavender, Clary Sage, Peppermint which including your joining fee (wholesale prices) is a total of $280. You can than aim to get in a future order Frankincense,Roman Chamomile, Tea Tree, On Guard, Easy Air, Lavender Peace are handy oily for post birth and baby use. Please get in touch if you have questions, or you can certainly browse my website if you want to place your own order – details on how to do that are here.